Many people heard about us first in school! We have been working in the schools of West Sussex since 2002 and since then we expanded to work in schools across the South East. To date, we have reached over 20,000 children, 600 school teachers, and partnered with 70 schools with the skills and message of peer mediation. 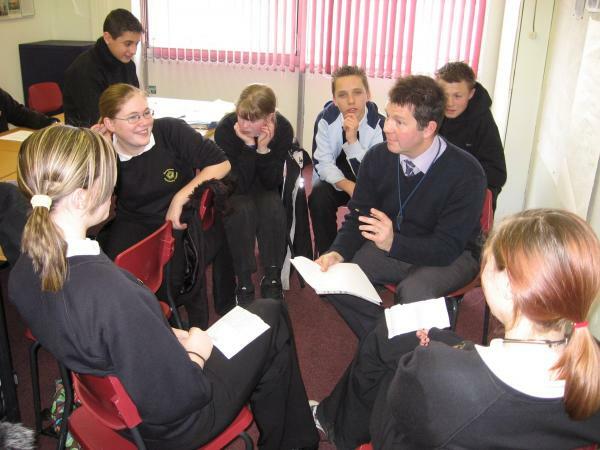 Peer mediation is a conflict resolution technique that trains school children as volunteer mediators to work with their peers. In each school we help staff and students set up a Peer Mediation Scheme through which the volunteer mediators work with their peers to help resolve low level conflicts, address bullying, and prevent fights. The curriculum-based scheme is supported by school staff who also receive mediation skills training. Our Peer Mediation (PM) in Schools Programme has proved to be a powerful, positive initiative because it offers effective life skills, conflict resolution tools and support to anti-bullying strategies. A key aspect of the schools programme is sustainability – we aim that all schools where we work for 18-30 months will be able sustain their peer mediation schemes with minimum support from us. We use a whole school approach – we have discovered that these simple, transferable skills need to be practiced and lived by everyone in school if children are to catch their value. All these messages tell us that Peer Mediation in Schools is successful, and doing exactly what was intended: helping children get along better. Peer mediation can change the whole culture of a school. Read the comments here to find out how. If you want to see an improvement in the number of playground squabbles, fights and relationship problems, get Peaceworks Peer Mediation in your school and see the difference! Peaceworks have been working on the development of a whole new approach to Peer Mediation in Schools. We want to make Peer Mediation more widely accessible, and we’ve listened to the feedback that teachers and children have given us. We are developing a new Peer Mediation in Schools Pack: a comprehensive kit for schools so that you can establish Peer Mediation in your school and run it yourselves. Everything you need to get you started, set up and running is in the pack, and Peaceworks will include a day’s training as part of the package. We are working with designers and developers to produce the pack so that you can set up Peer Mediation at ever level in school, all the way from Infants and Primary through to Juniors and Secondary. There will be handouts, lesson plans, teachers resource sheets, workbooks, manuals and toolkits, dvds and support materials making up a complete kit for setting up your own Peer Mediation Scheme. Peaceworks also offer a day’s training as part of the package, so you have full support. This is a package designed to embed Peer Mediation as part of the school culture. It’s not just a quick fix. This is intended to support the development of peace-building throughout the school for now, and for the future generations of children who make your school part of their early life. It’s an investment for the future. “It’s a great opportunity to develop the skills of communication and sorting out problems that will help later in life” Year 9 Student, St Philip Howard Catholic School in Barnham, 2011. Contact Peaceworks now: 01243 820604 and reserve your pack today. We couldn’t be more pleased with the impact of our work. At all stages, whether mediating, teaching mediation, working with managers, or anyone involved in teams or working with people, Peaceworks promotes peace, reconciliation and positive relationships. Delegates on our courses often report transformational change, especially in their working practices. Those who have asked us to mediate for them would recommend our services. If you’d like to read more about the things people have said about us, read the testimonials page, or email chris@peaceworks.org.ukor give us a call 01243 820604. Welcome to our resources page for schools with Peaceworks’ Peer Mediation Schemes. Please chose from the list of year groups on the left, and log-in to access lesson plans, powerpoints and other resources. Many teachers, parents and children find the topic of bullying at school a difficult and distressing one. Has your child been bullied? Are you concerned that they may be bullying? Has your school got a reputation (rightly or wrongly) for bullying? 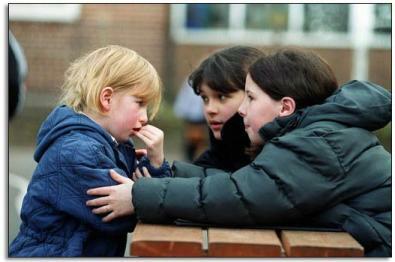 Peer support and peer mediation are two highly successful strategies for dealing with the impact of bullying at school. Peaceworks has been at the forefront of developing effective peer support inputs and strategies for schools. Do contact us for more information. Also, do follow the links on the right of this page for tips on understanding and better managing bullying. In 2012 Peaceworks helped to establish Schoolsworks Academy Trust, which has gone from strength to strength since. Peer mediation training is part of the curriculum in all its schools. Do visit the Schoolsworks website for more information.